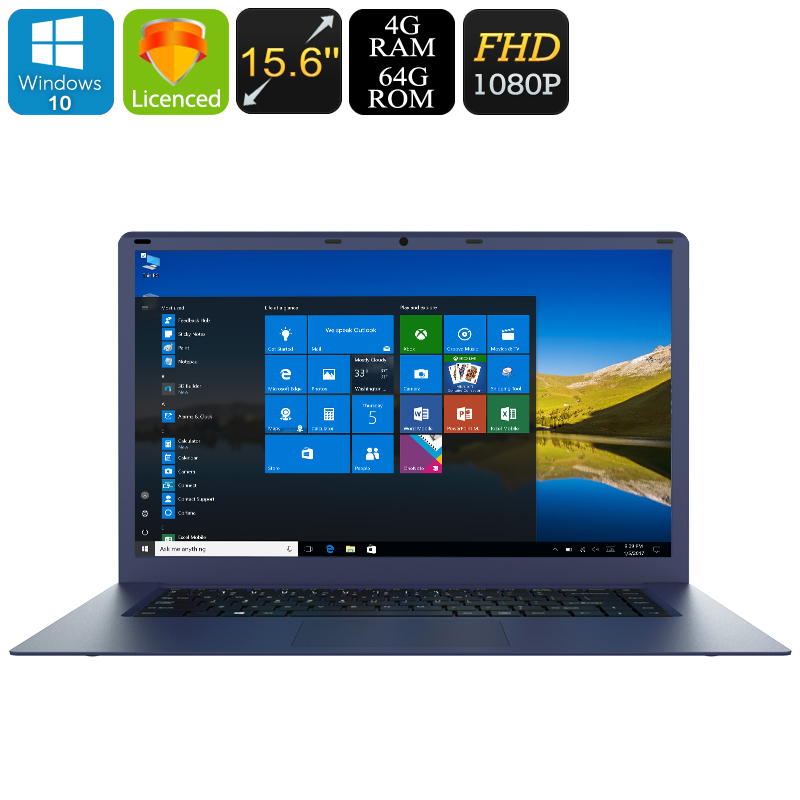 Successfully Added T-Bao Tbook R8 Windows Laptop - 15.6 Inch FHD Screen, Bluetooth 4.0, Licensed Windows 10 Home, Quad-Core CPU, 4GB DDR3L RAM to your Shopping Cart. If you are looking for an affordable Windows laptop, the T-Bao Tbook R8 is perfect for you. With a price tag of around 200 Dollars, this Windows 10 Laptop certainly is one of the best cheap laptops available. Running on a (licensed) Windows 10 operating system, this laptop PC lets you enjoy all the latest Office and Windows features that you’re familiar with. On its large 15.6-Inch display, you’ll be treated to crisp 1080p resolutions. Thanks to this, you can watch movies, play games, and enjoy other sorts of media in stunning beauty and vivid color. Whether you wish to use it for work or entertainment, it is sure to meet all your basic demands. Within its sleek body, this Windows 10 laptop packs the Intel Cherry Trail Z8350 processor. This Quad-Core CPU is capable of reaching clock speeds up to 1.92GHz. Along with the system’s 4GB DDR3L RAM, it lets you tackle all the basic software features out there without dropping a frame. Additionally, it also comes with an Intel HD Graphics 400 GPU. This graphic’s card supports you in playing games and watching movies while enjoying them in their fullest glory. Your Windows laptop PC comes with 64GB internal storage which is enough to store all your files for everyday usage. For those of you that need even more, it allows you to slide in a 128GB SD card. Thanks to this, you’ll never have to worry about running out of space to store your files and media. With its mini HDMI input, you’ll be able to hook up this cheap laptop to a large screen external display. This allows you to enjoy all your laptop has to offer into even greater detail. It comes with a 10000mAh battery that brings along several hours of usage time. Available for around 200 Dollars, the T-Bao Tbook R8 arguably is one of the best cheap Windows laptops available on the market. This laptop computer comes with a 12 months warranty, brought to you by the leader in electronic devices as well as wholesale electronic gadgets..